Where did the Jack Herer strain come from? A cross between Haze, Skunk #1, and Northern Lights, the Jack Herer strain is the result of the diligent, intelligent, and loving dedication of Sensi Seed Bank in the Netherlands. The strain was named in honor of Jack Herer. Jack Herer was, and continues to be, a longstanding source of inspiration for members of the cannabis community. Jack was an American cannabis activist who played a significant role in the early efforts to decriminalize, and even legalize, cannabis. His publication The Emperor Wears No Clothes contains what is widely regarded as one of the most compelling cases for the re-legalization of hemp. Under the Grassroots Party, Jack even ran for president, twice. Jack has advocated that cannabis should be decriminalized, as it is a useful source of fuel, food, and medicine. Unfortunately, Jack suffered from heart problems and passed away in 2010. His spirit lives on through the strain that bears his name. Sensi Seed Bank hit it huge when they dropped this strain on the world; The Jack Herer strain has won the High Times Cannabis Cub awards 11 times – more than any other strain! Jack Herer’s award-winning, strong, and cerebral high has influenced countless growers to make a plethora of different hybrids. Any strain with word Jack in it has likely stemmed from the original Jack Herer strain: Jack the Ripper, Jack Frost, Jack Flash, Candy Jack, Black Jack, Cracker Jack, Super Jack, Critical Jack, Jack’s Cleaner, Lemon Jack, Sour Jack, Jack Haze, Emerald Jack, Jack Skellington, Jack Widow, Jack Kush, Jack 47, Jack Wreck, Pineapple Jack, Galactic Jack, Purple Jack, Jacky White, Nurse Jackie…. you get the picture. The list goes on and on. Rightfully so! Jack Herer not only makes for a fantastic head high, but it also boasts a shorter growing time compared to most pure Sativas, making it a favorite amongst growers! What’s so good about the Jack Herer strain? The Jack Herer strain of cannabis is an undeniable classic. Almost every cannabis consumer that’s tried at least a handful of strains has come across Jack Herer. This Sativa-dominant strain is celebrated widely for its distinct uplifting cerebral effects. As the Jack Herer strain is about 90% Sativa, the cerebral head buss definitely dominates the high, but it’s not known to be an “anxiety inducer” as many strong Sativas are notorious for. 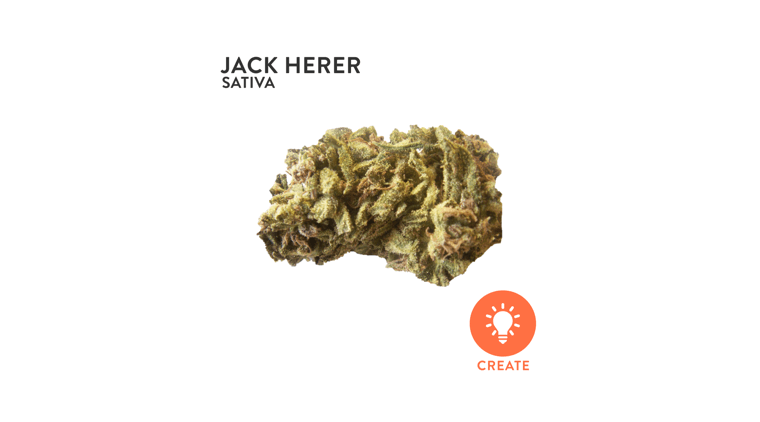 Jack Herer provides quite a clearheaded smoke that can lend itself to inducing a sense of creativity. 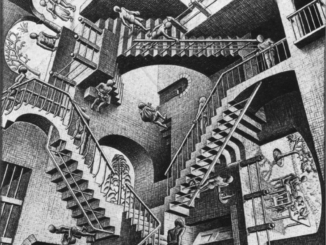 It also provides a notable sense of focus, which makes it great for smoking in the mornings. The Jack Herer strain also has a number of medical benefits as well that include, but are not limited to: treating anxiety, suppressing nausea, and lightening depression, headaches, and stress. The Jack Herer strain has been a long-time favorite of artists. It’s unique ability to offer a subjective experience that’s a blend of happiness and inspiration is the reason behind why the Strain Genie placed Jack Herer in the Create activity groups. Jack Herer is rich in the terpene terpinolene, which is certainly behind the indistinguishable smokey and woody flavor present in the herb. Terpinolene also has many anti-bacterial, anti-proliferative, and anti-fungal therapeutic properties.The overall scent of Jack Herer is primarily spicy and earthy with hints of pine. Jack Herer is a top-seller at WoahStork. You can visit our Jack Herer strain profile, view the dispensaries that carry it in your area, and place an order online today. I got my hands on the Jack Herer strain. Now what? Another fun week for the WoahStork team here in Los Angeles, the excitement’s pumping in anticipation of St. Patty’s day! Feeling particularly upbeat, we took our high spirits out to town, but not without stopping by our trusted Pre-ICO dispensary, The Higher Path! The knowledgeable bud-tenders there recommended we try out Jack Herer, a Sativa that would go along real nice with our current state of mind. We agreed and started out on our day. A few exhales of this bud brought a quick onset of a strong uplifting cerebral high that had a definitive giggly edge as well. Conversation went from amusing to highly comical. So what else better to do than to go to The Laugh Factory, right here in Los Angeles? Greats such as Dave Chappelle and Tim Allen have done amazing shows here. Guys like Eric Andre, Dan Levy, Chris D’Elia and Maz Jobrani seem to pop in nightly. The Laugh Factory is what people think of when they think about the comedy scene in LA. We caught a humorous show from Jon Lovitz and Dana Carvey that had us laughing nonstop for the entire time. We hope it was mainly the comedians, but we have to attribute some of that Jack Herer. Feeling nothing but uplifted, we wanted to take our energy to a bar where we could grab a few drinks, have some nice conversation, and dance creatively. La Cita was the best choice for all of this to happen (even the dancing). This is the place to go to for the authentic Southern California cantina experience. Located in downtown LA, the interior looks like a crazy mariachi carnival ride, complete with a bullfighting mural, Day-Glo lighting and an exciting events schedule that features everything from punk-rock reggae to hip-hop happy hour on Wednesdays. They even have cheap Modelos that they sell straight from a cooler here, no lie. Our experience on Jack Herer was amazingly enjoyable for every single minute. The strong uplifting cerebral high and giggly edge that set in quick was the perfect companion to our evening out. If you happen to be at The Laugh Factory or La Cita Bar, tag WoahStork and you can win a t-shirt! WoahStork is a marijuana app that allows you to order cannabis online from nearby dispensaries. Simply upload your government issued ID and doctor’s recommendation (if you’re looking for medical marijuana), and you’ll be able to place online orders for pickup or delivery within minutes! We also have a vast database of strains for you to review, compare prices, and order online! If you don’t know where to start, our Strain Genie will give you a personalized strain recommendation for any medical ailment or recreational occasion! The more you order and review, the more cannabis rewards you get – redeemable for steep discounts on cannabis from nearby dispensaries. Is there a marijuana app that lets you buy weed online? You bet! WoahStork is one of the best weed websites to buy from. With WoahStork, it’s basically like every marijuana dispensary in your area has an online cannabis store where you can buy weed online legally. What’s the different between a cannabis indica and a cannabis sativa? Look no further. WoahStork’s marijuana app not only shows you where to buy weed online, but it also shows you what all the different effects that different weed strains can have on your high!